Oleuropein is a tyrosol ester and phytonutrient that can be found in green olives, olive leaves and olive oil. It can protect your body’s cells from damaging free radicals and early evidence indicates that it may also have a wide range of additional health benefits. In this article I will be breaking down oleuropein and looking at these potential health benefits in detail. Awareness of oleuropein dates back thousands of years. It was used by the ancient Mediterraneans to treat infections, fevers and pain and by the ancient Egyptians to perform mummifications. However, it was not isolated until many years later in the late 1800s. Oleuropein is a powerful antioxidant that protects your body’s cells from damaging free radicals. Free radicals are nasty substances that are released into your body’s cells during oxygen based reactions and have been linked with an increased risk of cancer (a health disorder which leads to your cells growing in a rapid, out of control way), diabetes (a health disorder which leads to your blood glucose levels becoming dangerously high), premature ageing and a weak immune system. According to early studies, this tyrosol ester may also have further health benefits in humans. For starters, it may be an antibacterial (a substance that kills or slows down the growth of bacteria), anti-fungal (a substance which treats fungal infections), anti-inflammatory (a substance which prevents unnecessary inflammation in the body) and antiviral (a substance that kills or slows down the growth of viruses). It may also prevent cancer, diabetes and heart disease. Finally, it may protect your skin cells from ultraviolet (UV) damage, lower blood levels of low density lipoprotein (LDL) cholesterol (a type of cholesterol that blocks the artery walls and increases your heart disease risk), lower high blood pressure and strengthen the immune system. Olives, olive leaves and olive oil are the only natural food sources of oleuropein but it can also be found in olive leaf extracts. No negative side effects have been reported when consuming natural oleruopein. However, it is still not clear what effect large amounts of supplements containing this tyrosol ester have on blood cholesterol, blood glucose and blood pressure. Therefore, people with blood related health disorders such as diabetes and high blood pressure should check with their doctor before consuming any supplements. 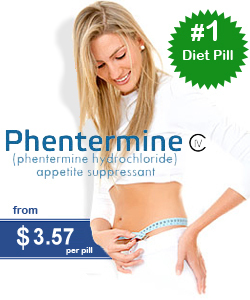 Pregnant women are also advised to check with their doctor before consuming supplements containing this phytonutrient. Although very few studies have been performed on oleuropein, those that are available are very promising. Not only is this tyrosol ester an impressive antioxidant but it may also keep your blood healthy, fight various diseases and more. So make sure your kitchen contains plenty of olive oil and start enjoying all the health benefits of oleuropein. Acne And Diet: Does Changing Your Diet Make A Difference?